Hi Fellow writers! Yesterday, I talked about the way I approach writing productivity. 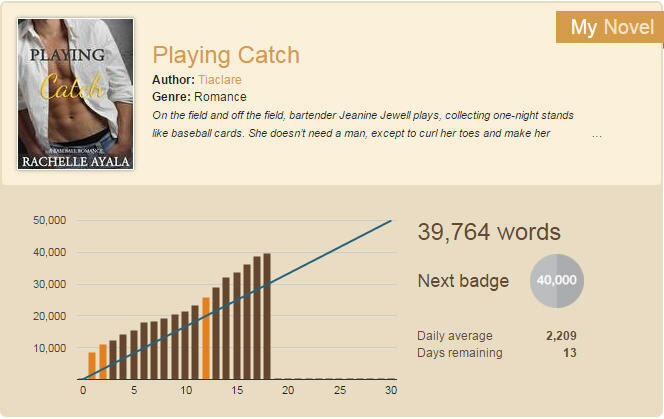 Today, I’m going to give you some practical tips on how to actually do that, given that November is National Novel Writing Month [NaNoWriMo 2015]. If you’re on schedule with NaNoWriMo, you’re probably smack dab in the middle of the story–sometimes called the sagging middle or the dragging middle. Your characters are still running around trying to figure this “journey” or “thing” out. They haven’t fully transformed to where they need to be at the end, but they are definitely different from their beginning state. 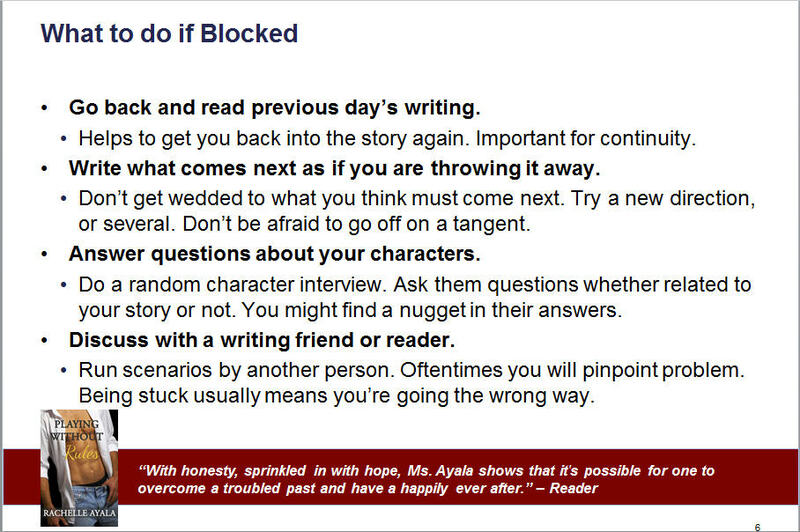 This middle stage can be daunting because there are so many possibilities to get to the end, and like a teenager trying to figure out what he or she wants to end up in life, your story and characters could become stuck and you, as the writer, could be blocked. When you’re in the middle, you have so many possible directions. I know I’m nearing my midpoint reversal or as James Scott Bell calls it, the Mirror Moment, when the character gains some insight that causes everything he or she believes to flip on its head. But there are so many ways to get there. Sometimes if you’re not careful, you get stuck or blocked. The first thing I do is go back and read what I wrote the day before or several days before. Oftentimes, this what-next process naturally leads to the story moving on. If that doesn’t work, then I write throwaway scenes. I ask questions to my characters, some random, others directed at the story. In my Romance In A Month class, we have Daily Character questions that help in brainstorming. I’ve put together 366 questions in a handy book called 366 Ways to Know Your Character [or one for every day of the year, leap-day included]. You don’t necessarily have to look for any particular date, but it’s a place to get started. Often times, answering questions from the character’s point of view is enough to get me going again. Well, I’m out of time. Tomorrow, I’m on the airplane going to Miami for the Readers’ Favorite Award Ceremony. 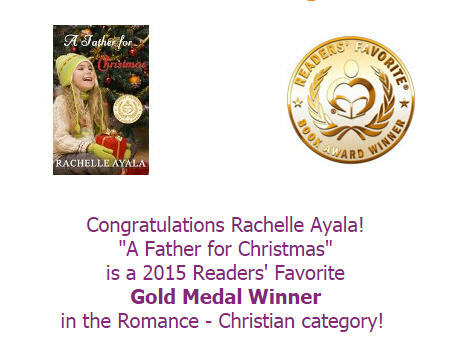 I wrote A Father for Christmas in six weeks, followed by several weeks of revision and editing using the Romance In A Month method. So I definitely eat my own dog food.